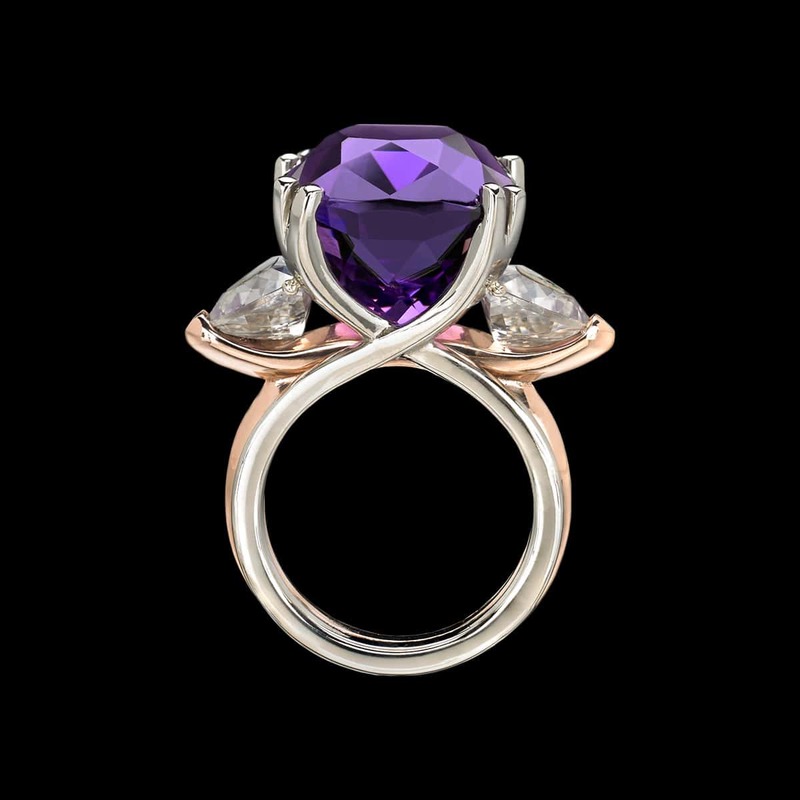 Allegre Amethyst Ring is poised and vibrant. 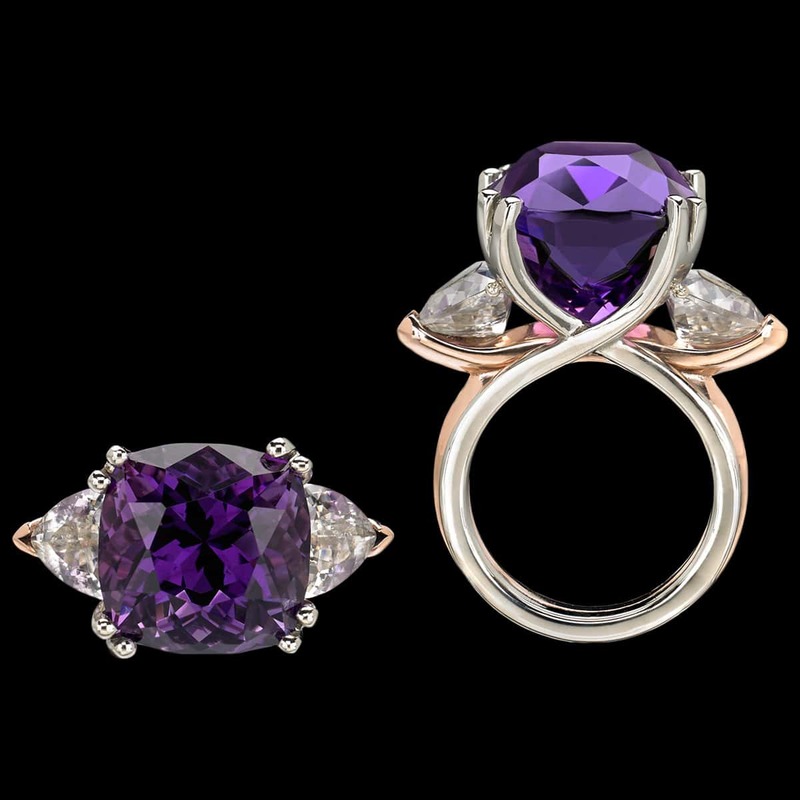 Allegre Ring features interlacing curves of white and rose gold, with a sumptuous amethyst cut by award-winning lapidary Stephen Avery, along with two rose zircons. 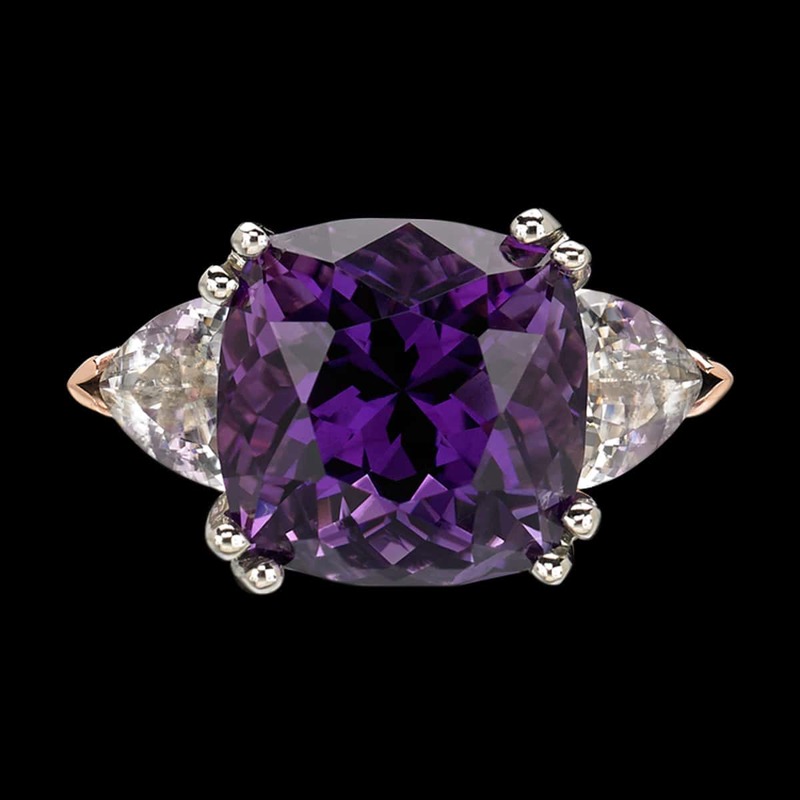 To purchase, call (949) 715-0953 or use our contact form below.